CHICAGO (WLS) -- The owner of a 6-month old fox named Loki said he is back home after disappearing last month. 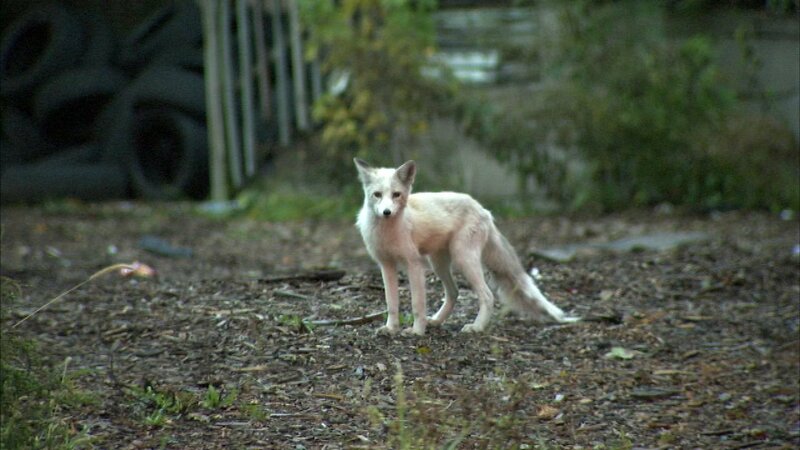 The rare white coated leucistic fox had been spotted in the Austin neighborhood on Chicago's West Side for the past few weeks, relaxing on residential rooftops and roaming backyards. Residents were concerned when they spotted the animal wandering around the neighborhood as it eluded its owner and the Chicago Animal Care & Control (CACC) for weeks. The mystery was sparked by the leucistic fox's unique coloring. Even Nicky Strahl, of the Illinois Department of Natural Resources, had never seen one before the Chicago fox. "It's not very common at all," she said. Stahl added: "It had a genetic abnormality that creates different colorations, different patterns than what you'd normally see." The genetic abnormality puts the fox at a disadvantage. Its white features make it much more difficult for it to camouflage itself when seeking prey. A baby fox has been roaming Chicago's West Side for weeks. The five-month-old fox is not aggressive and its owner has a state permit that allows him to keep the fox, said Ivan J. Capifali, CCAA deputy director. The fox was spotted in the 5400-block of West Jackson Street in late October. This weekend, the fox was seen sitting on burned-out house in the 5500-block of West Rice Street. A baby fox spotted on Nov. 5, 2017 roaming around the 5500-block of West Rice Street in Chicago. On Thursday, the fox was finally home again. The owner lives nearby and had been on the scene helping animal control. Foxes, just like coyotes, can also thrive in urban areas where there are plenty of prey. The fox was seen Sunday apparently carrying a rodent in its mouth. In fact, it's helpful to humans to have foxes around. "They're keeping down on the vermin that we don't like, including rats and voles and mice," said Donna Alexander, of Cook County Animal Control.